A site FULL of Om Nom Nom Nom! Go there, laugh and be happy. I woke up to roses, chocolate and Left 4 Dead valentine's around the house. Then Pauly and I went out on a date this afternoon. Mom came over and watched Ash and the two of us went shopping and to Red Lobster. We picked up a nice sparkling Rosé, some brie, baguette, strawberries and chocolate fondue. Then in typical us style rented Oldboy. Haven't seen it? Don't bother, it's not very good. It's a weird Korean movie with the most bizarre twist at the end. It wasn't bad. It just wasn't very good. When it and dinner were over we moved on to Left 4 Dead on the 360. That is what a perfect Valentine's Day looks like to a Hynes. Strange but true. Hope yours was awesome too! ps - try the Rosé, it's delicious. This week has been grumpy for me. I've had a migraine every day, Ash is a typical toddler, Pauly has a cold. Here is a picture Pauly sent me to cheer me up and I'd like to pass it on to you. Hope it makes you smile! You know the drill! It's Thursday so it's time to go shopping with the folks from DiYscene! I have free worldwide shipping in my Etsy shop! Click the ad to see what DiYscene is offering! I had the pleasure of meeting Heather over at the DiYscene.com forums. She had a shop over at Self Inflicted DIY. As you may or may not know about me, I have a soft spot for handmade shampoo. You can imagine how stoked I was when I learned that Heather had opened up a bath and beauty shop and had shampoo that was cupcake scented! I love this shampoo! First of all, it arrived quickly and safely. Heather was very friendly and easy to talk to. I ordered the vanilla cupcake scent and it smells divine! The lather is wonderful and leaves your hair feeling squeaky clean. I can't wait to try her conditioner. If you've been thinking about trying this but aren't sure if you should take the plunge into hand made shampoo, just do it! You won't be sorry! Not in the market for shampoo? 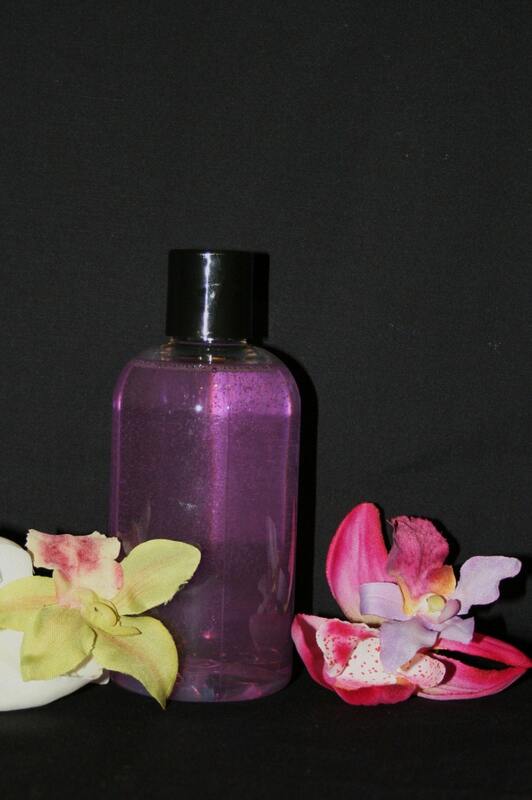 She has a wide array of products from body mist to bath tea! She even took the time to answer a few questions for me for this entry! What Made You Choose Your Shop Name: Serenity- "suggestive of utter calm and unruffled repose or quietude". Who doesn't want to be there? I thought it was a perfect meaning for the way you feel when your relaxing in your bathtub, relieving stress or even taking a quick shower. Date Shop Opened: My Etsy shop opened around January 1st,09. SerenitySoapNShower.com opened January 27th,09. What Do You Sell: I sell all natural and vegan bath, shower and beauty needs. I am coming up with new ideas and products all the time. What Made You Want To Start: After becoming vegetarian, I started reading the labels on everything. I was sickened by all of the animal products and chemicals in commercial bath supplies, so I decided to make my own. Then of course I was making for my family and decided to expand.